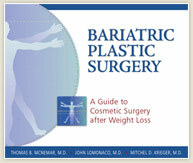 Dr. McNemar performs post bariatric plastic surgery in a number of fully-equipped facilities. Below you will find a list of Northern California hospitals and surgery centers where Dr. McNemar's post bariatric patients can have their procedures. For more information about the services and amenities available at each of these locations, feel free to contact Dr. McNemar online or call (925) 866-0177 for our San Ramon office or (209) 834-0626 for our Tracy office.